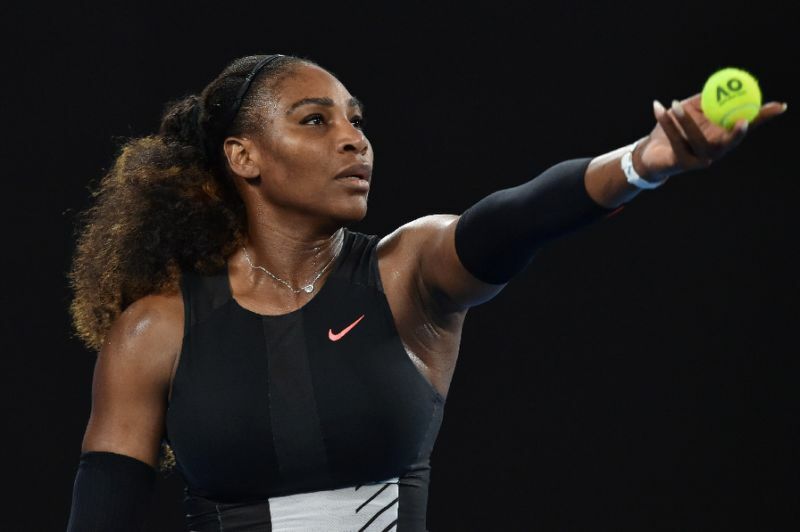 Serena Williams has spoken of her plans to defend her title at the Australian Open in January, less than five months after giving birth to her baby daughter on September 1. WUHAN (CHINA) - Chinese great Li Na backed Serena Williams to pull off a quickfire return to tennis after the birth of her first child -- but said there was no way she could have rushed back to the sport. Williams, 36, has spoken of her "outrageous" plans to defend her title at the Australian Open in January, less than five months after giving birth to her baby daughter on September 1. Li, who announced she was pregnant two months after retiring in 2014, said she wouldn't have been able to leave her own young daughter, adding that she had probably only hit a tennis ball 10 times since quitting the sport and becoming a mother. "Serena can fix everything," Li said, referring to the challenge of being a tennis-playing parent. "But if I think about myself, I couldn't do that. With a baby so young, I couldn't leave them." Asked if she missed tennis, the two-time Grand Slam-winner told reporters at the Wuhan Open that she hankered after the "fight and competition" but that she had left that side of herself behind. "Now I just follow," said Li, whose daughter is now two and who also has a baby son. Kim Clijsters, who retired for two years and became a mother before returning to win the 2009 US Open, said it depends on "how your body reacts -- everybody reacts different in those situations". American Mary Joe Fernandez also said she could not have played as a mother to young kids but that "Serena is an exception to a lot of rules". But Williams's good friend Caroline Wozniacki said the new mother remained "focused" on her comeback. "I think she's going to do a strong comeback but I think at the same time she's enjoying being a mum as well and getting that whole experience. I think it's very special," Wozniacki said in Wuhan. "I would be happy of course, the sport can change you a lot, it can make a child stronger," she said, adding that the constant travelling is "very tough". "It's not easy to continue for so many years, to do the same thing and no time with family," she said. Chinese great Li Na backed Serena Williams to pull off a quickfire return to tennis after the birth of her first child -- but said there was no way she could have rushed back to the sport.